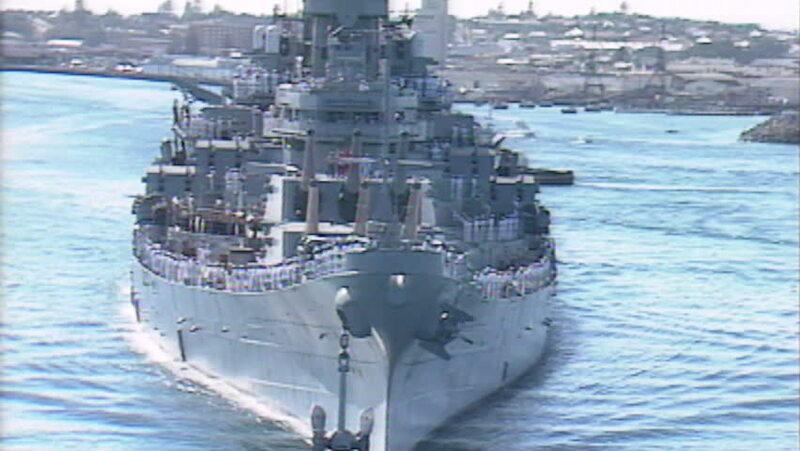 hd00:07Archive 1991 USS Missouri leaving Fremantle Harbour ariel low ariel shot toward the bow medium close up. hd00:11CIRCA 2010s - An aerial over an aircraft carrier at sea. hd00:12GREECE, LEFKADA, JULY 16, 2014: Wake behind the boat. White waves behind engines boat. Sea cruise in a hot summer holiday.